Alexander Hamilton: The $10 Founding Father in NYC ~ Learn, Live, and Explore! If you haven't heard of the new Broadway sensation, Hamilton, you have to be living under a rock. Tonight's (11/8/15) "60 Minutes" episode on CBS features the show in one of their segments with interviews conducted by Charlie Rose. President Obama just held a special DNC fundraiser show earlier this week where the cheap seats were $2500 and the orchestra seats were who knows how much! Normal people trying to get tickets to the show, but who do not want to fork over hundreds of dollars for resale tickets or the remaining oddball seats in the premium section are going to have to wait until almost a year from now to see the show for a reasonable price, unless they are the luckiest person in the world to win $10 show lottery tickets the day of the performance. The obsession is growing, and I'm 100% going along for the ride - memorizing lyrics and singing along in the car to even making Lego minifigure versions of two of my favorite characters - Hamilton and King George! So why is everyone buzzing about a Broadway musical centered around the life of one of our founding fathers? From the description, it sounds like a bored, disinterested and disengaged teenager's history lecture nightmare - Alexander Hamilton moves to America, studies law, becomes a revolutionary, becomes Washington's trusted partner in and after the war, is the first Secretary of the Treasury, and finally is killed by Aaron Burr in a duel. 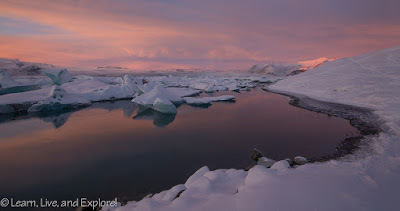 Trust me, it is not boring for a second and the history aspect is fascinating! All of this is due mostly in part to the composer and star of the show, Lin-Manuel Miranda (Tony award winner for his previous Broadway composition, In the Heights). His genius for lyrics and rhythms is astounding. Yes, this is not your typical musical, rather it is a combination of R&B, hip hop, lyrical rap, a little jazz, and an over-the-top comedic interpretation of a sassy King George III. Imagine a debate between two politicians but 8-Mile/Eminem rap battle style - those are how meetings of Washington's cabinet are written. The rest of the Hamilton phenomenon is due to the cast who are all performing at the top of their game and executing an amazing and engaging choreography, in addition to Miranda's music. I was fortunate enough to get to see the show while it was still off-Broadway last spring, at The Public Theater. I took a chance on the returns ticket line and got the last one. No one knew at the time, but even my dog has seen Hamilton - long story, but I had him with me for the ticketing process and didn't have time to take him back to the hotel before the show started. Now, many months later, the date on my ticket for the Broadway version finally arrived. 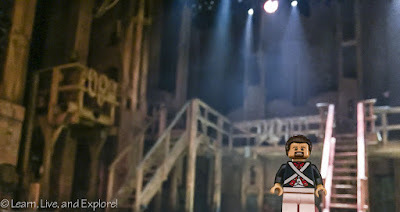 And, I finally got to see Lin-Manuel Miranda in the role of Hamilton, instead of his understudy as I did at The Public Theater. This show....wow, just wow!!! I don't think I've been this moved by a performance since the first cast of RENT. And I'm not sure if that's a fair comparison because I never saw the original RENT cast on Broadway since I didn't have easy access to NYC or money back then, though I did see some of them as they opened the show in London's West End. If that's the case, then Hamilton is better than RENT. Miranda, Leslie Odom Jr. as Aaron Burr, Phillipa Soo as Eliza Schuyler/Hamilton...I am a sucker when other people are crying, and I couldn't stop my tears from falling. 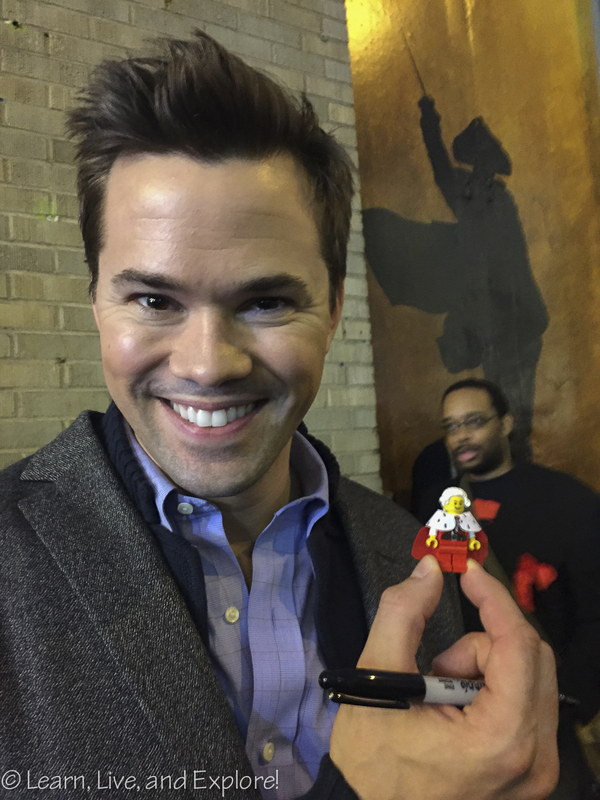 I missed out on seeing Jonathan Groff's portrayal of King George a second time, as he was off shooting a previous movie commitment, but I wasn't complaining about his replacement - Andrew Rannells of HBO's Girls and Book of Mormon fame. Actually, that may have been the best part of the show, when Rannells was ad-libbing some choreography that caught Leslie Odom off guard and made him laugh so he had a hard time getting his lyrics out. I could go on, and on, and on about this show...and let's talk about Daveed Diggs as Lafayette and Jefferson! Fortunately, as the lyrics in one of King George's songs suggests, I'll be back - next spring and maybe even again next fall, who knows! OK, enough gushing about the Broadway show! I'm in NYC, so I am compelled to find new adventures, preferably in history. Since I've clearly been obsessing over Alexander Hamilton, I decided it was time to follow in the footsteps of the man, himself. 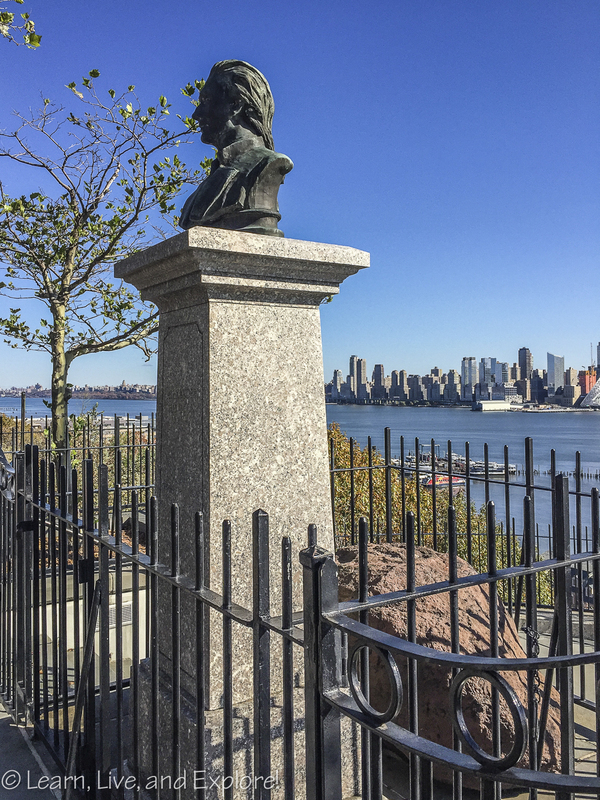 New York City, or rather New York Island, was the place he called home, despite growing up on an island in the Caribbean and spending years away fighting the war, attending meetings with the Confederation Congress, or performing his duties as Secretary of the Treasury. Much of Hamilton's daily life was centered around what is now lower Manhattan. 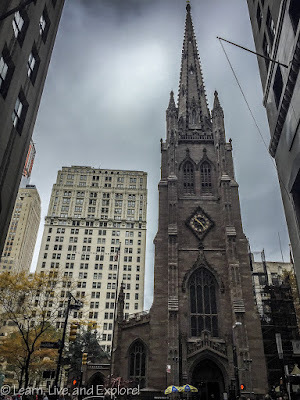 He was a frequent worshiper at the old Trinity Church, where he met Hercules Mulligan who guided him in his new American home and was one of his trusted friends before and during the war. 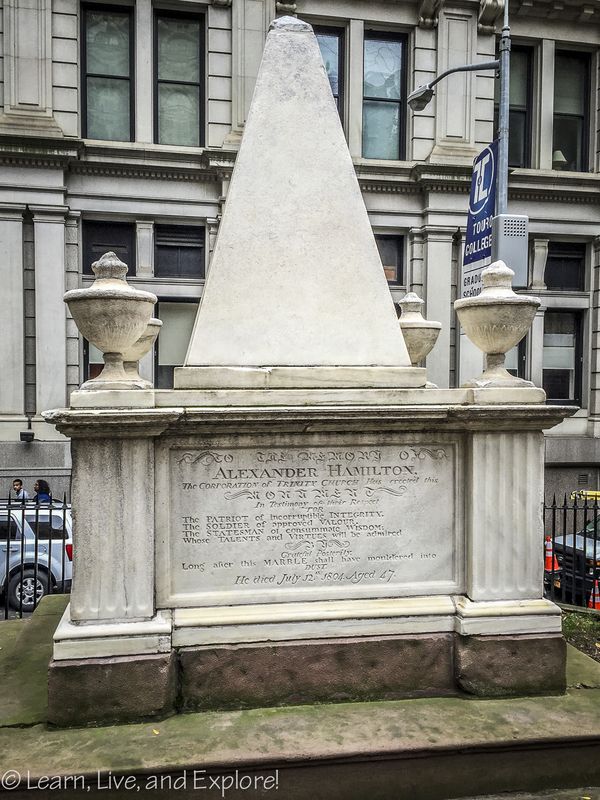 Hamilton's grave is, rightfully, one of the largest in the yard at Trinity Church, and he his buried next to his wife, Eliza Hamilton, and near his beloved sister-in-law, Angelica, and friend Mulligan. 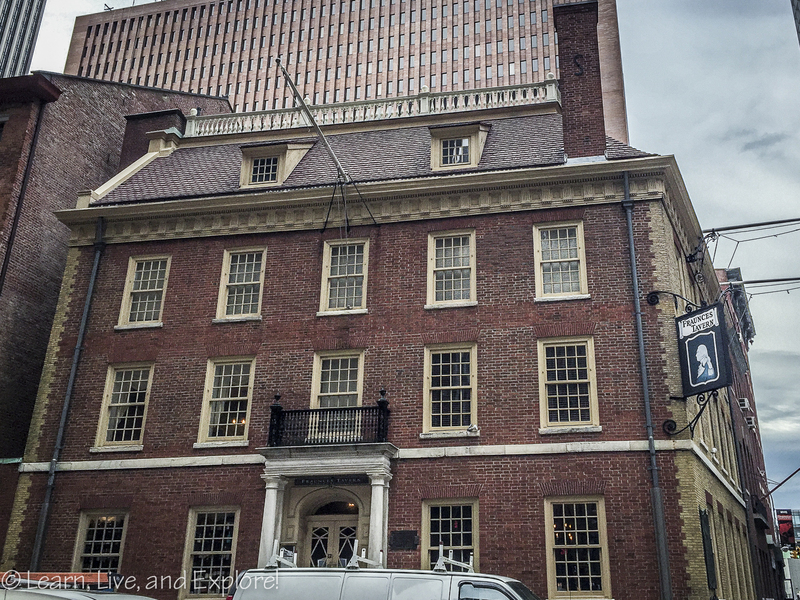 Hamilton also met often with his revolutionary friends, the Sons of Liberty, before and during the war at the famed Fraunces Tavern on Pearl Street. 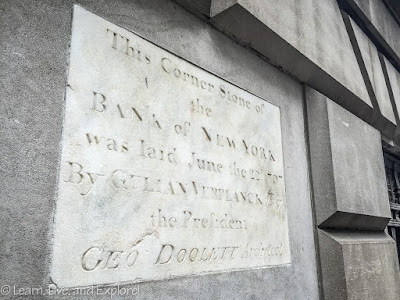 This was the site where George Washington gave his farewell speech to his officers after winning the Revolutionary War on December 4, 1783. 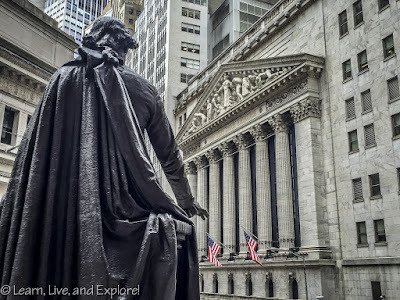 Then there's Federal Hall next to today's New York Stock Exchange. Previously New York City Hall, the name changed after the war, when the Congress of the Confederation (formerly Continental Congress) and, subsequently, U.S. federal government representatives met at the site for two sessions. Alexander Hamilton was a familiar face here as the New York State delegate to the Congress, and he was likely a witness to the swearing in of George Washington as President on April 30, 1789. 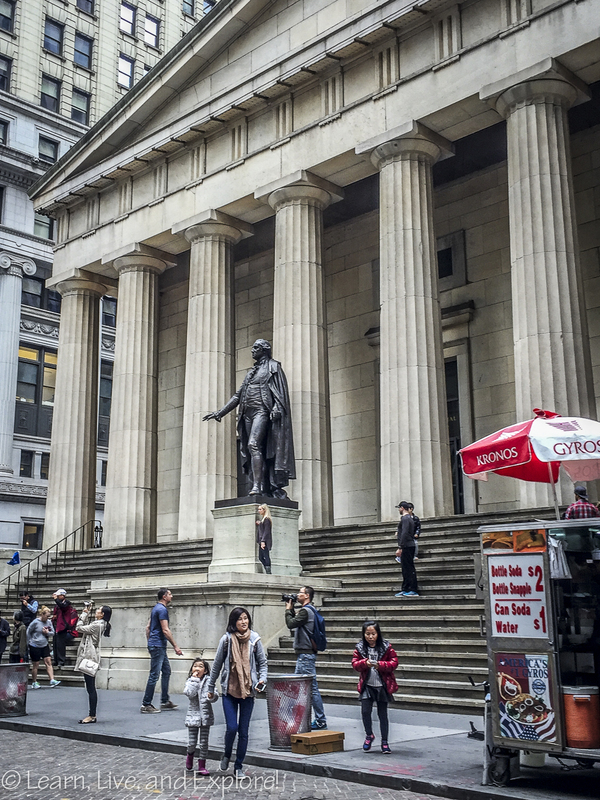 It was at Federal Hall where Hamilton engaged in debates that led to the Tariff Act of 1790. Later, after his role as Secretary of the Treasury ended, Hamilton still had business at Federal Hall, arguing cases such as the famous Manhattan Murder Trial of 1804. Sadly, Federal Hall is not open on the weekend, so I was not able to go inside. 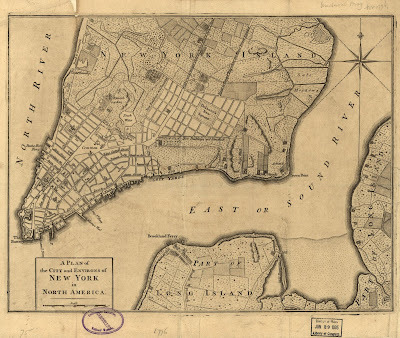 Other Hamilton spots in Lower Manhattan include Fort George and the Battery (a location where his artillery company was stationed in 1776 - the fort no longer exists, but you can see it on the map above), Hamilton's rented home on Broadway (54 Cedar Street - no longer there, just north of Trinity Church), homes of his friends like Mulligan (no longer there), and the site where he died after being brought back across the river, paralyzed and with internal bleeding, from the dueling grounds in Weehawken, New Jersey - the home of his friend William Bayard Jr. Bayard's home is allegedly located at the present 82 Jane Street because there is a plaque on the building commemorating the event, but historians have refuted the claim of the building owner who placed the plaque. The New York Times cited comments from author Terry Miller who wrote, “A map drawn in 1767 places William Bayard’s house just below the present Gansevoort Street. 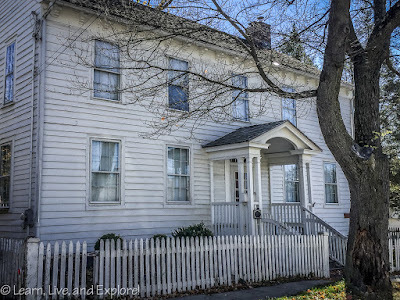 The house was on the north side of Jane Street, close to and possibly in the path of present-day Horatio Street, which wasn’t mapped until 1817." Since Hamilton died July 1804, you can see the issue here. 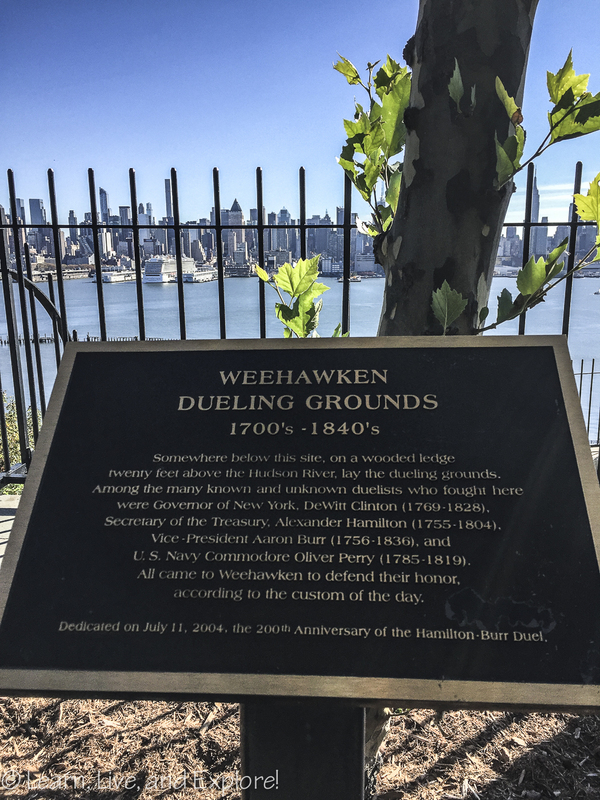 Finally, it serves to mention that Lower Manhattan has Hamilton's signature on it everywhere when you consider it as the nation's financial center and his role in establishing the Bank of New York and the country's early monetary and fiscal policies. Moving slightly north to the Greenwich Village neighborhood, I stopped to visit a notorious Aaron Burr spot. At 17 Barrow Street is the old carriage house owned by Aaron Burr, who used it to house his coach and horses while Attorney General and, later, Senator of New York in the 1790s, and as Vice President under Thomas Jefferson. Burr's killing of Alexander Hamilton sent him into ruin politically and professionally, and he lost much of his New York City property, including the carriage house. 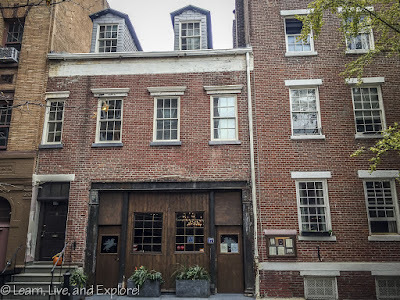 Currently, the old carriage house is a posh eating establishment in NYC, but it is rumored that Aaron Burr has not completely let go of his ownership of the building. Some believe that Burr and his daughter, Theodosia, both haunt the restaurant. I, personally, think it's more likely to be the ghost of one of the workers of the 1800s brothel incarnation of the property, especially since it wasn't Burr's actual residence (which was Richmond Hill in Greenwich Village) and because Theodosia died while on a ship traveling from South Carolina to New York that disappeared, allegedly at the hands of pirates. With Lower Manhattan covered, it was time to hit Upper Manhattan. 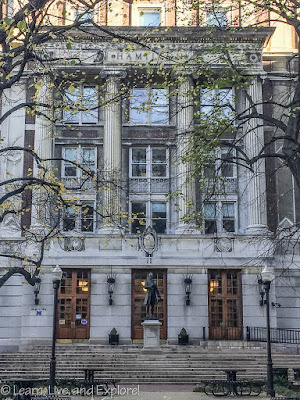 First stop was Columbia University, formerly King's College. 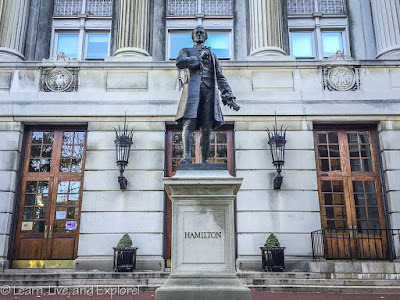 Hamilton attended the college as a student starting in 1774, his studies disrupted by the start of the Revolutionary War in 1776, and was instrumental in the post-war restoration of campus buildings and as a trustee for 20 years until his untimely death in 1804. 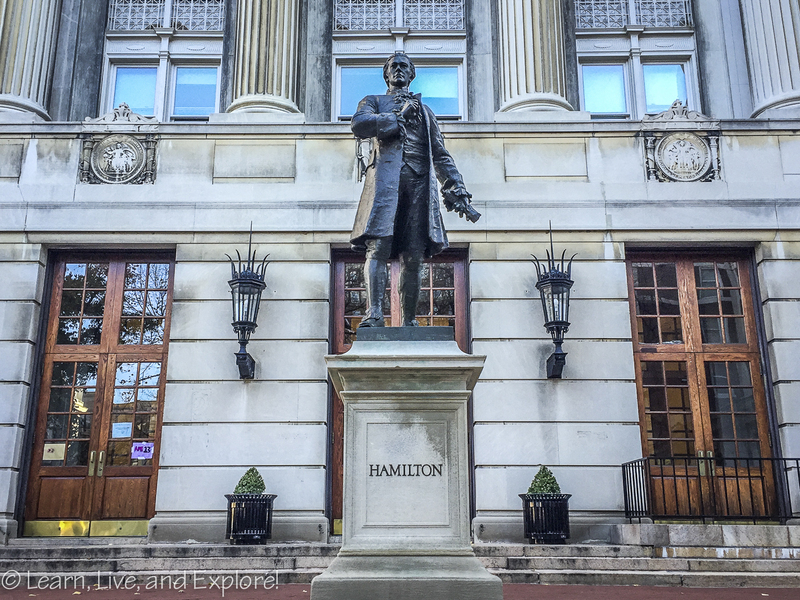 Today, there is a Hamilton Hall and a statue of Alexander in front of his building namesake. 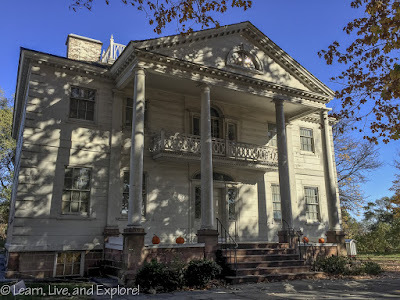 Just north of Columbia University is the Washington Heights home of Alexander and Eliza Hamilton - the Grange. 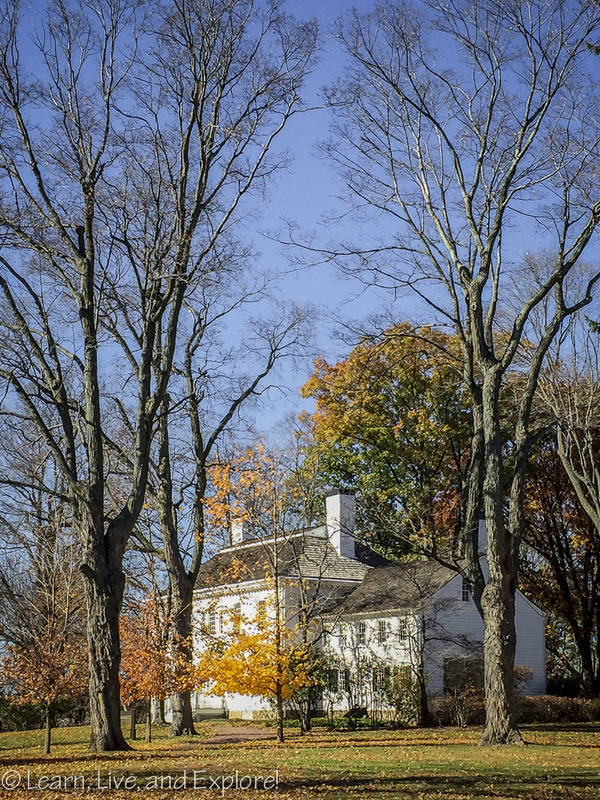 Built in 1802, Hamilton got to enjoy just two years in his "country" home before his death. He continued to work "downtown," which translated into an hour and a half commute each way. Just like some Washington D.C. traffic today! 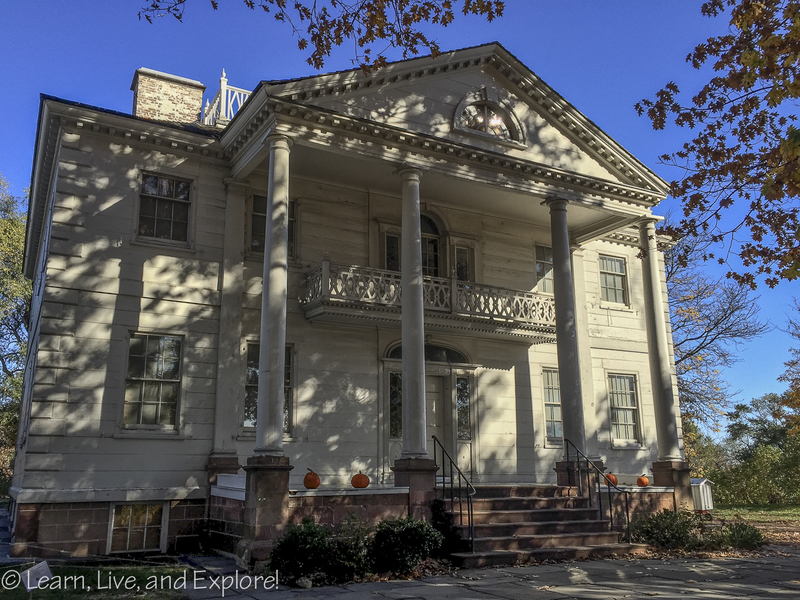 This was the only home Hamilton ever owned, and Eliza remained there for 30 years after he passed away. The building today has suffered two relocations, the last to a park that was still within Hamilton's original 35 acres of land, but not the exact spot where it originally was built. The name - the Grange - comes from his paternal grandfather's estate in Scotland and maternal uncle's estate in St. Croix. My last stop in New York City was the Morris-Jumel Mansion, where President George Washington hosted a dinner for his administration members on July 10, 1790. 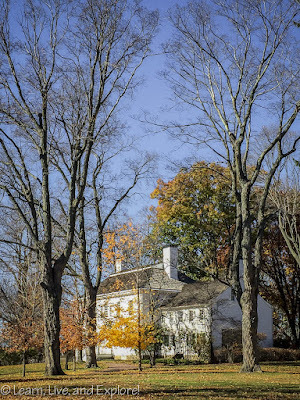 The home also served as Washington's headquarters during the war in the fall of 1776. Prior to the war, it was owned by British Army Colonel Roger Morris, who received the land on which the house was built through his wife's dowry. During the British occupation of Manhattan, the home also served as headquarters to various British officers, until it was forfeited under the Act of Forfeiture that punished British loyalists. Ironically, almost three decades after the famous duel and after his political and financial decline, Aaron Burr married the wealthy, widowed owner of the mansion, Eliza Jumel and took up residence in the home in 1833. Just three years later, to improve upon the irony of the Burr connection, Eliza hired Hamilton's son, Alexander Jr., as her divorce lawyer. The Morris-Jumel Mansion was one of Lin-Manuel Miranda's sources of inspiration for his show, as he spent many hours writing, on site, at the mansion. Now in New Jersey, I had to stop in Weehawken to see the famous dueling grounds, directly across the Hudson from midtown, as part of my NYC Hamilton journey through history. 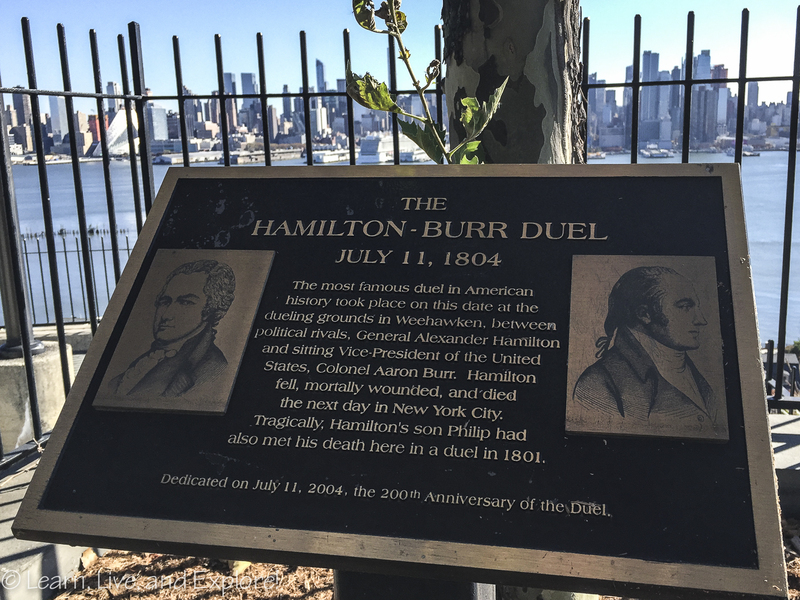 Before there was Hamilton and Burr on July 11, 1804, the grounds were ironically the location of Hamilton's son, Philip's, demise by dueling. 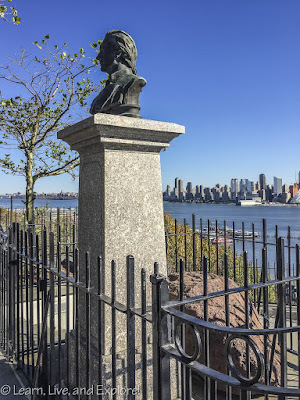 From a morbid standpoint, the boulder that Hamilton allegedly laid his head as he began the slow dying process waiting for his boat ride back to New York still exists, moved to its current spot on Hamilton Street next to a bust of Hamilton. The dueling grounds are nothing to see really, as they are denoted only by the two plaques and not any marked strip of land/forest. I also made a detour on my way home to Morristown, New Jersey. This town has two major Hamilton locations. 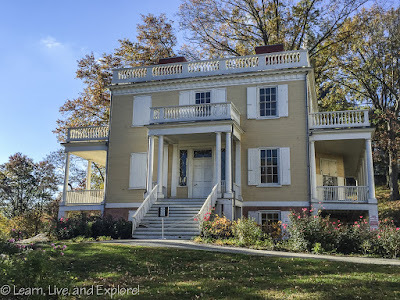 The Ford Mansion was Washington's headquarters for six months over the winter of 1779-1780, and as aide-de-camp to Washington, it is presumed Hamilton had a room there as well. The location of Ford's Mansion was convenient for Hamilton's love life. Dr. John Cochran, one of Washington's physicians, took up residence a half mile away at 5 Olyphant Place with his wife and niece, Elizabeth (Eliza) Schuyler. 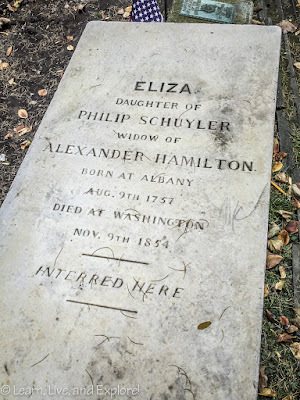 Eliza had been introduced to Alexander the previous summer, and Mrs. Cochran invited her niece to Morristown to allow her a chance to pursue her interest in Hamilton, with courting dates often taking place at their house. By April 1780, after only two months, the couple were making wedding plans. 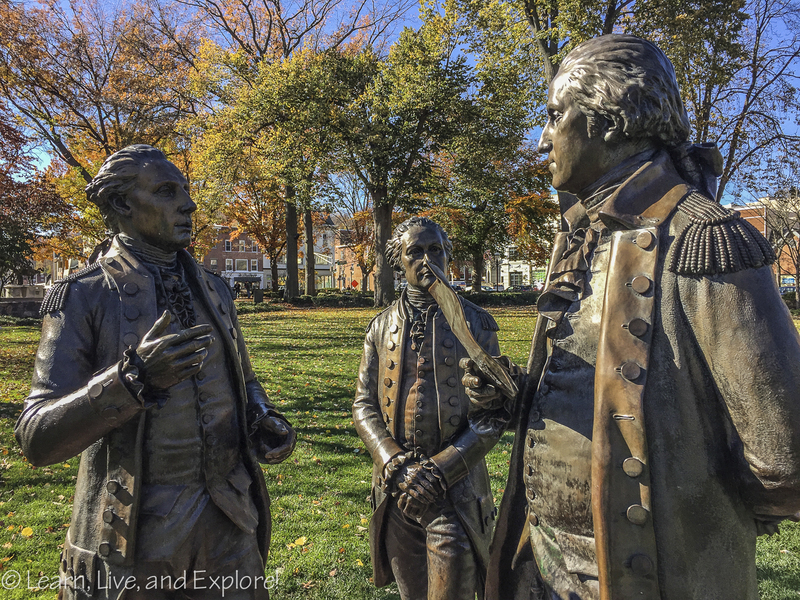 Also in Morristown is a great trio of statues, located on The Green, depicting Washington, Hamilton, and Lafayette in conference. As I mentioned before, the tickets are ridiculously hard to obtain and often too expensive. The laws of supply and demand! I mentioned the lottery drawing that happens 2 hours before every show. 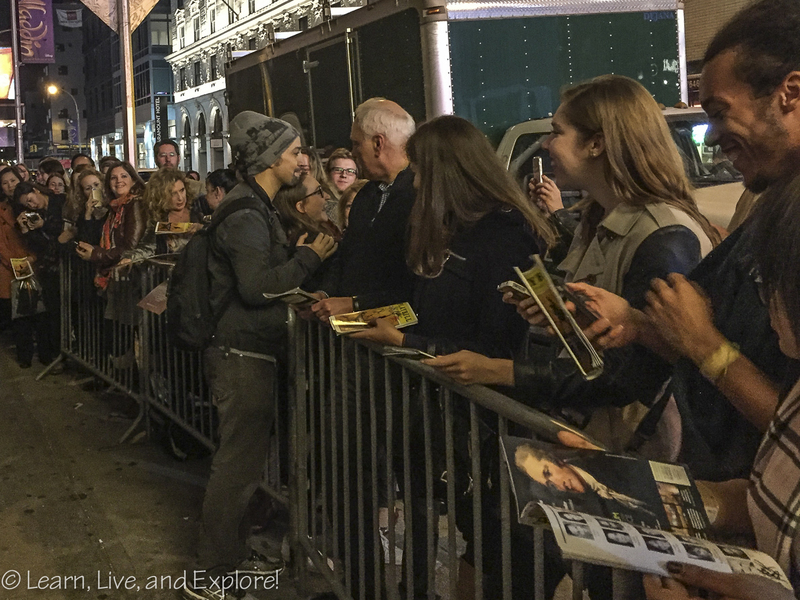 The lottery opens 2 1/2 hours before the show, yet the line to get an entry ticket may start earlier. 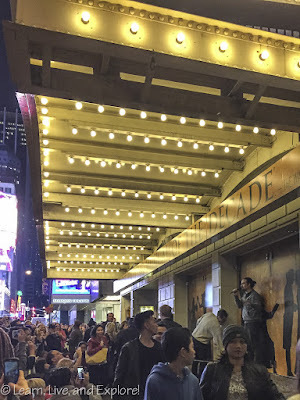 When I went on a Saturday, I was very surprised to see that the line stretched from the theater on 46th halfway between 7th and 8th, all the way back to Times Square then wrapped around the corner another block. It moved quickly, though. 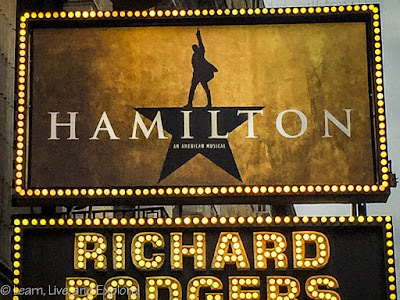 The disadvantage of entering the lottery line late for the Saturday evening show - and Wednesday evening as well - is that you give up the ability to get a good spot for the twice weekly Ham4Ham show. 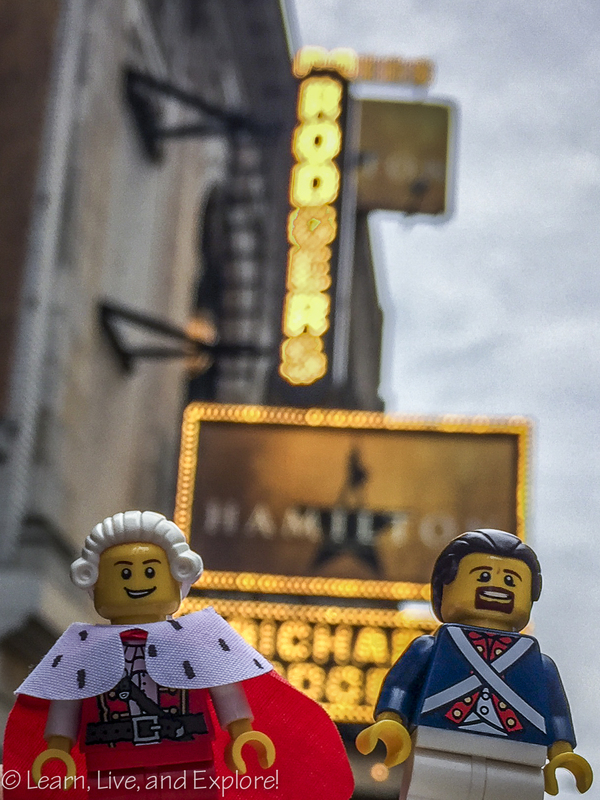 What's a Ham4Ham? Well, it's the nickname of the lottery - a Hamilton ($10 bill) for a ticket to Hamilton. 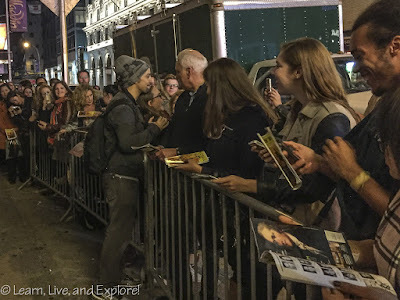 Lin-Manuel Miranda started a tradition during Broadway previews this past summer of daily pre-shows that happen the 5 minutes before he drawing. So if you are following me....for an evening performance, 5:30pm line starts moving to ENTER the lottery, 5:55pm Ham4Ham show, 6:00pm drawing, 8:00pm showtime for lucky winners. 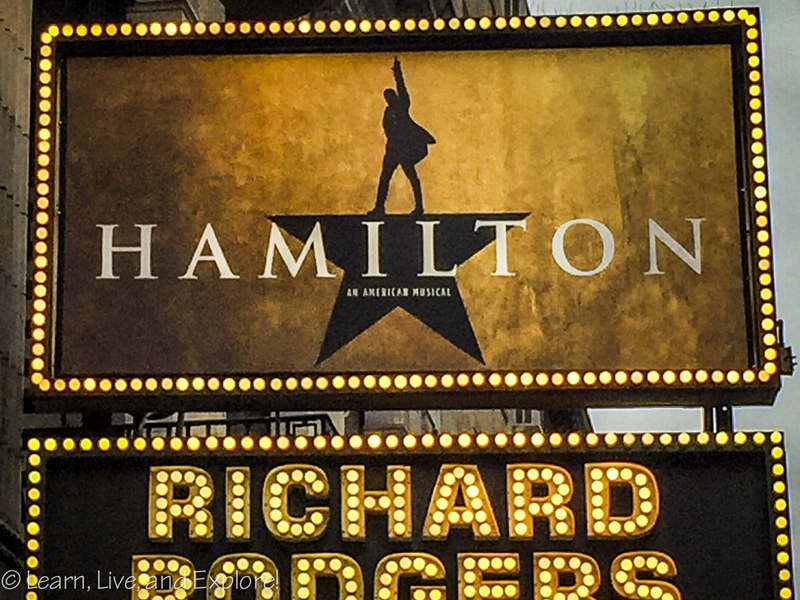 The Ham4Ham show, typically hosted by Miranda, is a surprise every time. That surprise can be another famous Broadway actor coming to sing for fans, it can be something related to Hamilton but with a twist, or it can be a showcase of one of Miranda's multi-talented friends. Now months into the Broadway run, it was overly ambitious and unsustainable to do daily Ham4Hams, so they now tend to be Wednesdays and Saturdays. My favorite thus far is the Three Kings performance, where the three male actors that have played King George III - Brian d'Arcy James, Jonathan Groff, and Andrew Rannells - did a lip sync performance of the Schuyler Sisters. If you do get a chance to see the show, wipe your tears off your face quickly so you can exit the theater and find a spot by the stage door. The cast is incredibly friendly and humbled by the words of appreciation given to them by fans of the show. 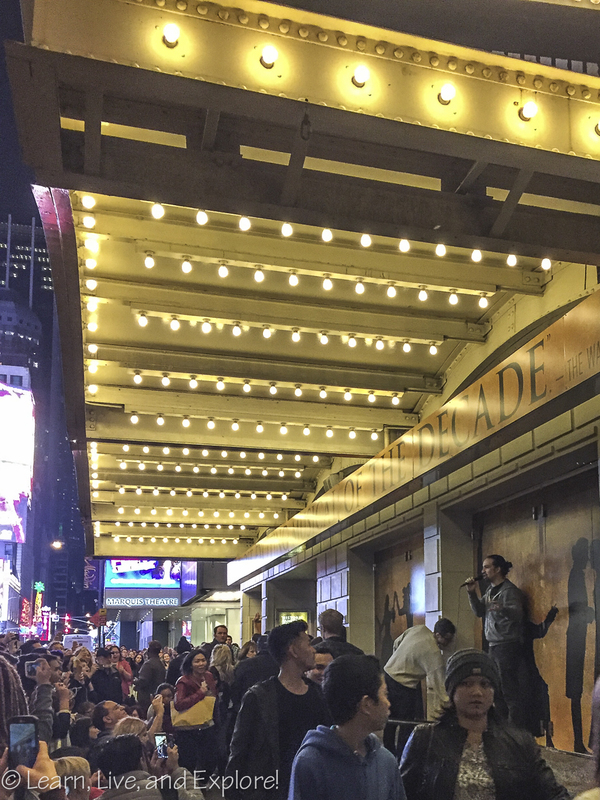 From start to finish, the Hamilton Broadway experience is out of this world, so get to NYC soon to see for yourself! Oh and one more of Lego Hamilton....not throwing away his shot!